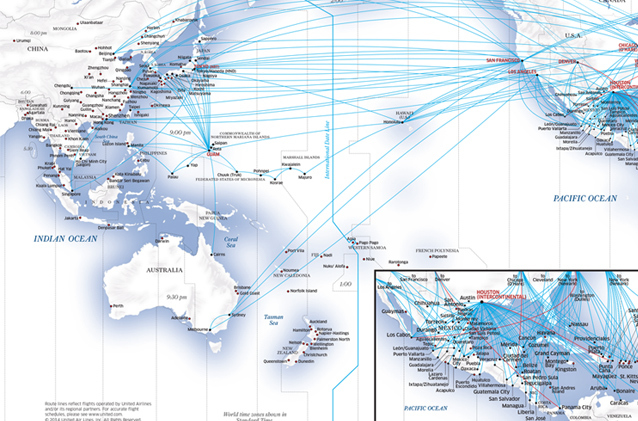 CHICAGO, Oct. 24, 2014 /PRNewswire/ -- United Airlines will launch four new Pacific routes next week, beginning with nonstop service between Los Angeles and Melbourne, Australia, and between San Francisco and Tokyo's Haneda Airport, on Oct. 26, 2014. Later in the week, the airline will also launch two new routes from its Guam hub – Seoul, South Korea, on Oct. 27 and Shanghai on Oct. 28. The Boeing 787-9 aircraft operating the new Melbourne route will feature a total of 252 seats – 48 in United BusinessFirst and 204 in United Economy, including 88 Economy Plus seats with added legroom and increased personal space.